With over 45 years of experience, Advantage Credit Counseling Services offers world-class customer service and great pricing. Advantage Credit Counseling Services has 45 years of experience dealing with debt management and counseling. Advantage CCS offers what is called a debt management program. They work with the creditors to reduce monthly payments, interest rates, and repayment time. Clients can expect to see interest rates drop down to 15 percent and as low as zero percent when enrolled in their debt management program. The company provides free credit counseling sessions where counselors educate each client about their financial situation, methods to repaying debts, and how to create an overall better budget to manage their finances. Each session is customized to meet a particular set of unique client situations. Each session runs about one hour in length and clients are encouraged to be fully open and honest about their situation to receive the best program solution for them. We appreciate Advantage CCS in taking a personalized approach by providing only one client counselor for each counseling session. Once the counseling session is complete, consumers have the option to take part in their debt management program, housing counseling, bankruptcy counseling, and many others. Advantage has gone to great lengths to provide consumers and clients with educational resources to help them attain the financial literacy to get and stay out of debt. They offer updated blog posts on various topics, including finances and the holidays, which is always a hot topic for consumers. Also among their educational offerings is an abundance of tools such as financial calculators, online budget advisors, newsletters, an online library, and video guides to help consumers navigate on the path to financial freedom. We like several aspects of Advantage CCS but one aspect we would like to see outlined on their company webpage is an offering of a money back guarantee. This may help clients rest assured that they will be getting the best service this company has to offer. An additional concern is their lack of FCAA accreditation. This accreditation guarantees a certain level of quality for the services rendered. Consumers do not enter into any contract and may cancel at any point in the process. If a customer does opt out of the service, by law, debt management companies must inform the creditor which will likely restore interest rates and payment expectations to their previous levels. Advantage CCS offers free credit counseling to their customers and an array of program options to help the financially struggling individuals get back on their feet. While their lack of accreditations concerns us, they offer consolidation services that are worth considering. We recommend taking advantage of their free consultation and credit counseling services to determine if their product offerings would be suitable for you. Advantage Credit Counseling Services has been in the industry for 49 years. They are a non-profit organization that assists customers in consolidating their debt into one monthly payment while also decreasing the interest rate on the debt. In the process of consolidating debt, Advantage Credit Counseling Services will provide certified counselors to analyze a customer’s current financial situation to provide the most practical solutions. In addition to debt consolidation, Advantage Credit Counseling Services provides assistance in bankruptcy, credit counseling, housing counseling, credit report review, and an online budget advisor. They also offer a few free tools like a calculator for credit card debt, mortgage loan, auto loan, emergency savings, college, and retirement. Yes. Online Credit Counseling is accessible 24/7, counselors are available over the phone or in person during business hours. 49 years. They incorporated in 1968. 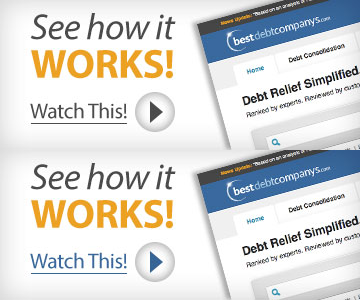 In addition to free counseling, they provide a useful blog, loads of information regarding financial topics related to debt and credit management, FAQ, an active social media presence across multiple channels including Facebook, Twitter, Pinterest, YouTube and Google+, and free online goal tracking tools. Advantage CCS has no contracts, so customers may cancel at any time. No money back guarantee is provided. They assist customers with Unsecured debt, however, they provide useful education materials with information regarding secured debts. Their site is mobile friendly. Business hours include 8 am – 8 pm Monday through Friday and 8 am – 2 pm Saturday. Online credit counseling is available 24/7. Advantage CCS offers a range of services including free credit counseling that’s available online, in-person and over the phone, debt management services, bankruptcy counseling, bankruptcy education classes, and home ownership counseling for both pre-purchase and foreclosures. In Pennsylvania they offer help with reverse mortgages and credit report review services in person. Once customers are on a debt management program, they are given access to the online dashboard. The online portal allows customers to monitor their account and access card balances and information. All of ACCS’ credit counselors are certified through the National Foundation for Credit Counseling (NFCC). To become certified, their credit counselors are required to pass six NFCC certification exams that measure experience and tests counselors’ knowledge of credit and financial counseling. ACCS is ISO certified. They are accredited by the Council on Accreditation (COA). Thanks for your service. I woulf highly recommend you to anyone in need of debt services. Everyone was very helpful and explained processes completely so that I understood. Exceptional service from beginning to end. Non judgemental attitude of staff a real plus. Able to pay off debt early without penalty. Would highly recommend to individuals who need this service. My wife and I got into the program and couldn`t be happier that we did! It was a struggle at times to get through it.But with the discipline that is required to finish the program,it was worth every bit of the sacrifices we had to endure at times. We would recommend ACCS to anyone who asks. Thanks again! Advantage Credit Counseling Services was honest, fair, and non-judgemental. They helped me work out a realistic plan to get out of debt. I think I’m a smart guy but I’m still amazed that I was so easily sucked into the debt trap. I’ve finally learned the benefits of being debt-free. I appreciate their help with this. This experience was flawless! I had perfect service every time I called with questions. Great customer service. ACCS was an awesome company to work with! I would definitely recommend you to others. Of course, you have to be willing to do your part too. Every time I called with questions, they were answered promptly and all the agents I dealt with were very nice. I probably drove those girls crazy when I was getting ready to pay off because I wanted things done right, but I was walked through the process and there were no problems. Thanks, I am now debt free! I am truly blessed to have accs for three years. They have been wonderful with me because i am deaf. They did a great job! ACCS was great. They worked with our creditors to lower our interest rates, setup payment plans, and provided guidance and advice throughout the process. One suggestion I would make would be to have occasional check ups to go over the progress. They were always there for us when we had questions, I’m thinking more about them proactively setting something up for review. The program did as expected in paying off my debt. This group is easy to work with and communicate with, and they got me back on track effectively. I highly recommend them for this type of thing. Advantage Credit Counseling Services are top of the line Awesome!!! If it was not for their debt management program I would still be swamped in credit card debt, if not on the verge of filing bankrupt. They are always there to answer questions with polite, courtesy, and knowledgeable employees. Never once did they make me feel bad for the debt I had. They were more than willing to help me figure out what was best and where to go from there since day one! ACCCS helped my family and I so much! We were in dire straits with debt up to our eyeballs. I was paying out more than I was bringing in. After 5 years, we learned how to manage without using credit cards and how to stabilize our finances. And, at the end, it was like getting an additional paycheck every month with the money we saved from paying CCCS for the debt. Every step of the way was effortless. Process went well and I was fortunate for your help! Thank you. Can’t recommend this service highly enough! I would use them again and again – but fortunately that’s not necessary. I can’t thank them enough for helping my husband and I achieve financial freedom from what seemed like a ton of credit card debt. We’ve been very pleased every step of the way and so glad we found Advantage CCS. They were there for us when we had questions and didn’t know where to turn to. Advantage Credit Counseling truly is a blessing!